ASUS’s Zenfone 2 is not just a mere smartphone, it is a platform on its own. There is the original Zenfone 2, the selfie-centric Zenfone 2 Selfie, the rear camera centric Zenfone 2 Laser, and the beefier Zenfone 2 Deluxe. Now, with the Zenfone 2 Laser Z011D, the company is giving the Laser a separate configuration of its own. So what is the difference between the standard Zenfone 2 Laser and the Z011D? The answer is size. Up till now, all of the Zenfone 2 phones sported a smaller 5.5 inch screen. For the Z011D, ASUS has decided to ramp the screen size up to 6 inches. This officially puts the Z011D into the phablet category. Aside from the screen size though, nothing else has changed in regards to the overall design of the Z011D when compared to other Zenfone 2s. If you’ve seen any variant of the Zenfone 2 before, the Z011D is almost exactly the same, albeit bigger. For performance, the Z011D sports components that would safely put it in the mid-range smartphone category. The phone is powered by an octacore Qualcomm Snapdragon 615 with an Adreno 405 GPU. It has 3GB of RAM and 32GB of storage space which is expandable via microSD for a maximum of 128GB. As usual, the Z011D runs on Android 5.0 KitKat with Zen UI on top of it. As part of the Zenfone 2 Laser series of smartphones, the Z011D’s strong point is its rear camera. The rear camera on this smartphone has 13MP sensors and features a 5 element lens and has a f/2.0 aperture. It also comes with a dual tone LED flash and a laser assisted focus system, hence the ‘Laser’ moniker. The front camera is a standard 5MP camera. Performance of the Z011D is pretty much what I’ve expected for a phone in the Zenfone 2 line. The Z011D performs well on your standard smartphone stuff such as checking emails and messaging. Multitasking is smooth as well, seeing as I am able to switch between applications without any noticeable stuttering. High intensity applications such as games are where the Z011D starts to choke, but seeing as how it is a midrange phone, that pretty much is a foregone conclusion. One other thing to note is that because the phone has a 6-inch screen, one handed navigation is going to be harder for those who have smaller hands. Now, for the main attraction: the camera. Much like its smaller sibling, the Z011D’s laser assisted focusing is precise and accurate. In fact, I’d even say that the laser assisted focusing is a tad more accurate on the Z011D than it is on its predecessor. Image quality does seem to be improved as well, as this smartphone yields a slightly clearer picture in brightly lit conditions. Low light photography on the Z011D seems to be pretty decent overall, producing clear pictures with some amount of noise. Granted, it’s not perfect, but it is far from unusable either. The Z011D’s camera UI remains largely unchanged, featuring modes and settings that are almost identical between all the Zenfone 2 smartphones. 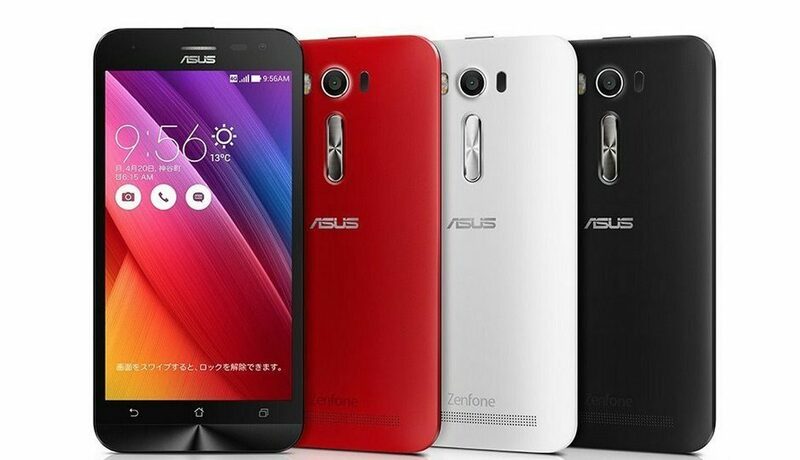 Since the Z011D is bigger than the vanilla Zenfone 2 Laser, ASUS has decided to provide it with a bigger battery. The 3,000mAh battery gives the Z011D a slight boost in longevity when compared with its smaller sibling under standard day-to-day usage. Under normal use, the Z011D can last an entire day before a recharge is needed. That said, if you’re a heavy phone user, you might want to lug a spare power bank around as the battery doesn’t last long under extremely heavy usage (read: GPS usage). I’m going to be honest, I was actually struggling to write this review because for the most part, the Z011D is just yet another Zenfone 2, except bigger. Sure, the Z011D is an amped up version of the Zenfone 2 Laser, but besides that, everything else is almost the same. If you already own any variant of the Zenfone 2, the Z011D can be ignored as it really doesn’t distinguish itself from any of the other variants aside from the size. That said, if you’re looking for a smartphone that is big, has a decent camera, and you are yet to try out a Zenfone 2, the Z011D may be what you’re looking for.